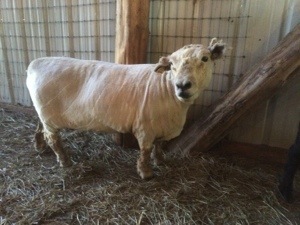 Sheep shearing day is always fun. 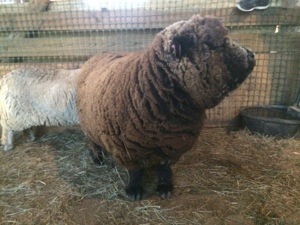 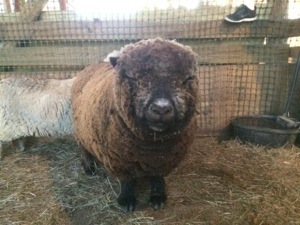 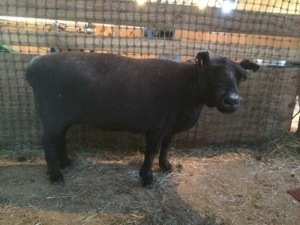 Our two babydoll southdown sheep have a 4 inch thick wool coat that they are glad to take off for spring and summer. 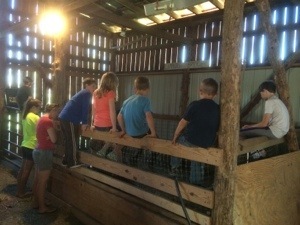 Here’s a clip of the kids helping to herd Pearl into the barn to be sheared. 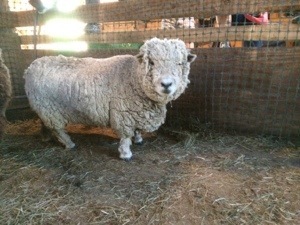 And some shearing footage…sheep sit very still if you prop them up the way you see them here.